Jas Kohli, with this book,gives you a true companion when you have no one to talk to in the train, and when your partner is snoring on your shoulder. Kohli will keep you entertained throughout the story. 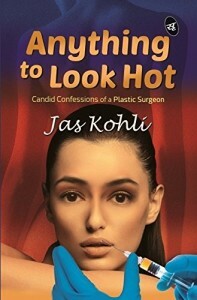 The eye catching thing is this is one of the rare fiction books on the life of a Plastic Surgeon. I picked it up only because I have not read anything about this lifestyle, although I have read Hospital from Artur Hailey, but that is an altogether a different league. Kohli here gives you a bird's view of the life of a Plastic Surgeon through his protagonist Dr Dhruv and the challenges that he faced in this industry. While writing this, he had also kept the story bounded with fine line of humour and love. This would not give you a LMAO feeling but would make you smile silently in your heart. This would not give you any sensous feeling, but would make you remember your loved one. He has written this in a simple language with which everyone can connect easily. Although start of the story is not gripping, but as the story moves on,you will find it interesting. I finished it in one go while travelling, and completely enjoyed reading it. On the whole this is worth reading, and you can consider it giving it a space in your book shelf. 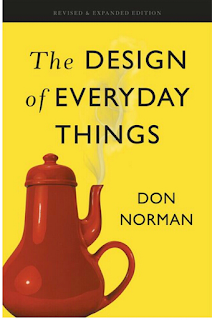 I am thankful to Marrisa Mayer-CEO of Yahoo, Neha Borkar-Indiatimes Author, Facebook and Don Norman for giving me an inspiration to read this outstanding, brilliantly written, awesome book for designers, and amazingly that can be read by everyone above 20. This is because teenagers in their age are not exposed to the world , or are not made aware about the nature of the world that this book talks about. I am thankful to the above mentioned people, organization is because I comeacross an Indiatimes article on Facebook, which says that -26 Books Top CEOs Love, written by Neha Borkar. Although there were 26 books, but this title, loved by Marrisa Mayer, enticed me more to read it. This book talks about human behaviour with technology and its evolution over a period of time. 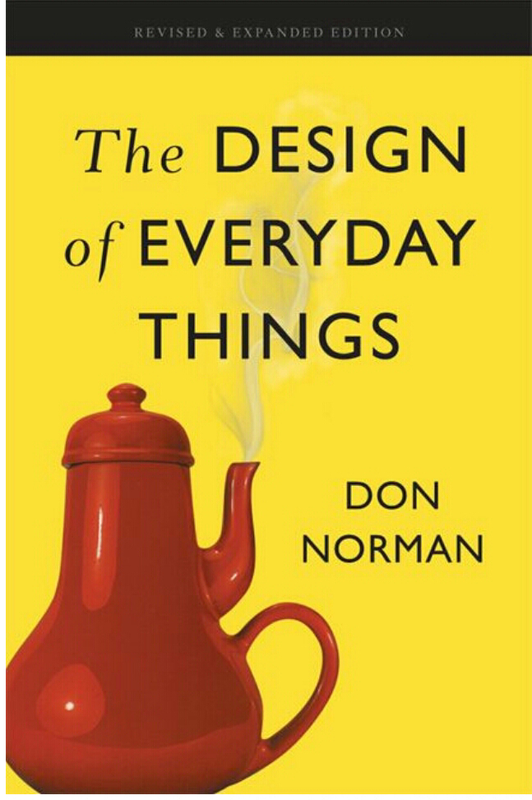 Don Norman, has so expressively written this book that you would want to continue reading it for a long time. This is something that one rarely sees in a non-fiction book. This will open up your critical eye for each and every man-made thing, meaning this will surely change your outlook towards everything other than human beings. I would also like to recommend that people should read this book as early as they can, as they would realize then the true role of technology in their lives. This book is a gift, for designers of any field. They can debate that this is more like a text book, but I would say that this is the best text book of their course, which they would feel should never end. For other people, this book will bring awareness to many little things of life affected by design of machines and instruments that they use on daily basis. They would also understand the concept of how their simple sewing machine, shampoo bottle, gas stove or faucets, and even doors are designed. With this book, everybody will able to understand a simple fact that technology is there to simplify things, and not sophisticate things, for us. The day started with an enriching tea followed by delicious Poha and Jalebi. My mom is the best in cooking them. I teased my newly wedded wife Nimisha that she just couldn't be better than mom in this, and she made faces. We had planned a visit to Akshardham Temple in Delhi, and left the home at 11 am to reach there on time. The convenient service from Delhi Metro did not let us deter ourselves to a visit to Delhi from Gurgaon. Although it was a holiday, but one could never predict busy roads in Delhi. 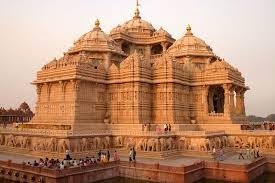 I am not a frequent visitor to temples, but Akshardham is one such temple which is also famous for beautiful gardens, exhibition and good food. Considering mom's choice of a temple, wifey choice of lush green gardens, and my choice of food delicacies, we narrowed down our plan to visit this 40 year old Akshardham Temple. Mom and Nimisha were happy with the view from the metro. They both, as this was their first visit to Gurgaon, had not been to Delhi in a metro, and so they smiled and gave a I-saw-this-first-time look on seeing Malls, Water Park and other buildings while enroute to Delhi. We got down at Rajeeve Chowk to change the metro from Yellow Line to Blue line. Rajeeve Chowk is one of the busiest metro stations in Delhi that handles 5 lac visitors daily. Unlike Huda Metro Station, from where we boarded, there we had to stand in que to board this metro. I regained my lost excitement on looking at their smiling faces, even when they had to stand in que. We reached Akshardham Temple at around 1 PM, by an auto. Temple was 2 kms far from the nearest metro Akshardham station, even that was named after the temple which had the beautiful and mammoth structure, very visible from outside. We also expected that there were going to be eye-partying things inside. I was aware that everybody had to deposit bags, but was not sure about cellphone. To my surprise, the security check in took more time than check in at airports, and they wanted everything to be deposited except for money and hand wallets. I was kind of exhausted even before entering inside. Mom and Nimisha were waiting happily outside and I, on seeing them, too got charged. I did realize after some time that I was not actually walking with any weight whatso ever, as there was no cell phone, no bags inside my pocket and on my shoulders. 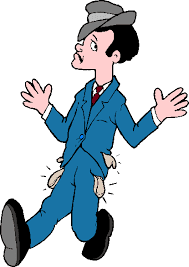 I was walking with empty pockets, and it was so relieving that I could not express that instant feeling. 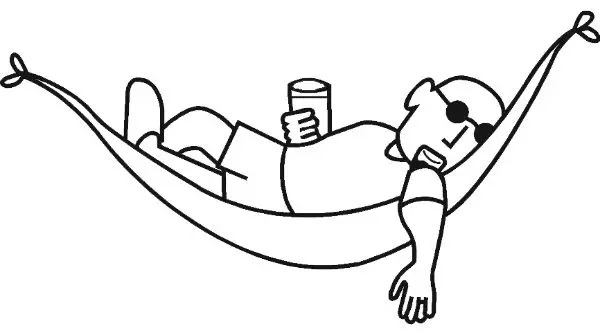 I generally get frustated when I don't have my cell phone, but that day I was happy to be relieved from it. We entered inside, and there was this chily breeze that kept blowing our hairs away. There were very beautiful gardens, with round and elliptical shaped trees and plants. There were different designs of all geometrical shapes, and all were very well maintained. The air inside was so clean, and was actually incomparable from what you breathe in outside. The temple was so gallantly decorated and the pillars inside had intricate crafted designs on them, depicting different forms of God and history of the temple in itself. There was one more good thing favorable to us was the food without onions and ginger. My mother didn't eat either, and this was the only place where everything was without them. She did taste almost everything out there, and was happy to eat such a good onion-less food outside home. There was also an exhibition centre and a water show inside the temple, but later we realized that the watch on my wrist (and not on my cell phone) was reading 4 pm.We were getting late, and so we decided to skip them. Those 3-4hours in the blessed environment of Akshardham Temple, with the people I love the most in my life were the best and most rejuvenating hours that I had ever spent in a very long time. There was no better time than spending it with your loved ones.I didn't realize that I was also tired as we had to walk a lot inside the temple, but even than I was happy and fresh at the end. 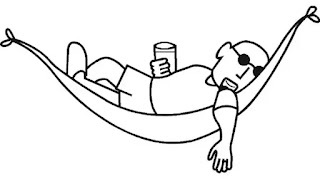 We got out, and I finally switched on my cell phone after four hours.I was back to my life of technology where I sometimes weigh more importance to the person in that small screen rather than the one in front of my eye lids.....Haha..